The deployment of Rapier in the open parks and SHORADS (short range air defence weapon systems) on roof tops to protect the London Olympics remind the Londoners of the heavy anti aircraft guns deployed around London during the WW-II. 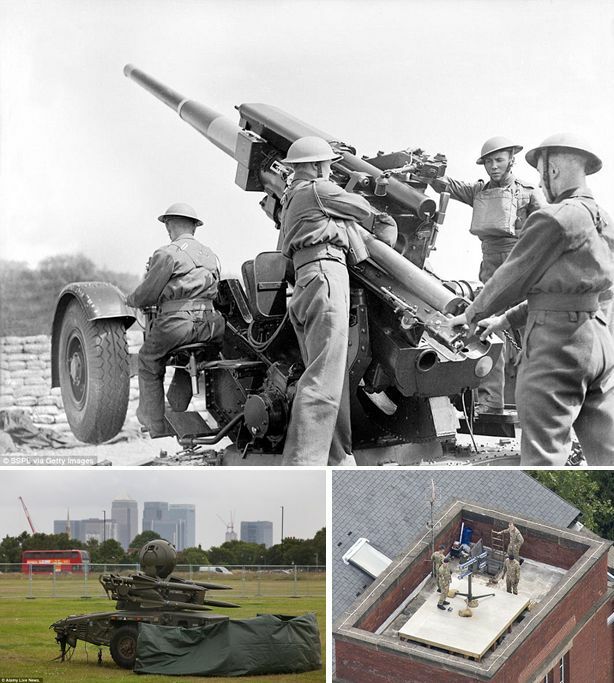 Soldiers in residential tower blocks and green open spaces were yesterday pictured installing surface-to-air missiles at six sites across the capital, a show of strength not seen in this country since the Second World War. With two weeks to go before the start of the London 2012 Olympic Games, it marks a dramatic development in the biggest peacetime security operation the country has ever seen.